UPDATE: Look who found a home for the holidays! Al looks pretty happy. 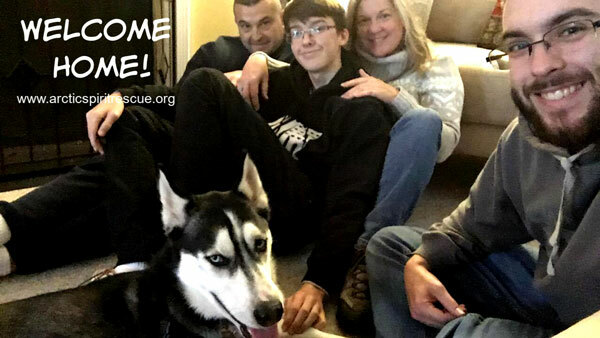 We knew this active family could provide the home Al was looking for. Congratulations to all and welcome to the ASR family! 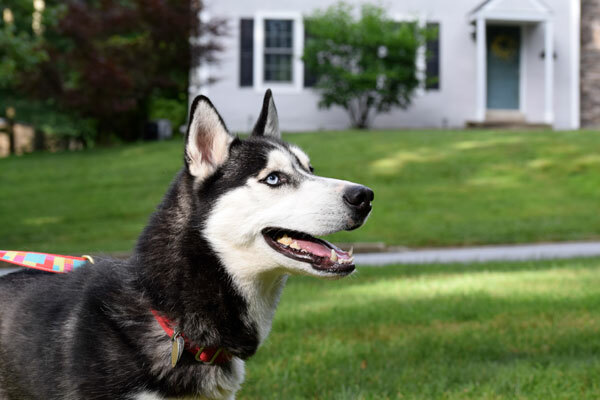 Meet Al – a handsome two year young Siberian Husky who’s ready to choose his new forever family. This guy was reluctantly relinquished by a loving family who had a lot on their plates. They adore him but realized the current living arrangements weren’t ideal for a young Husky. Al is a vocal, friendly guy who seems to love everyone he meets. He’s young though and will need consistency, a Sibe proof yard, and would love a canine playmate of similar size and energy level. Al does love children but as with any young, energetic dog he would do best around children that are accustomed to being knocked down (by accident!) now and then. Visit our social media pages for updates as we get to know Al better. Al found his forever home but we have other dogs available for adoption!